On Wednesday, PBS is set to take a deeper look into the lives of animals, featuring stories of pets and wildlife and what they mean to the humans who research, admire and love them. First, the popular program "Nature" will run an episode called "My Bionic Pet" that's all about the animals -- disabled ones, in particular, who have regained certain abilities thanks to innovative prosthetics. Just like the sea turtle with a jet-inspired fin, the sheep with a custom wheelchair or the calf with a prosthetic leg, the animals featured in "My Bionic Pet" rely on specialized medical technology to lead their lives (which they seem to lead quite happily). But the episode isn't just about the joy of watching happy animals: as the New York Times puts it, "the humans' commitment to providing relief and opportunity to the animals is stirring." PBS is also slated to premiere part one of a three-part NOVA series that finally tackles the question of what animals are really thinking. Each episode of "Inside Animal Minds" centers on a different animal, from dogs to dolphins. 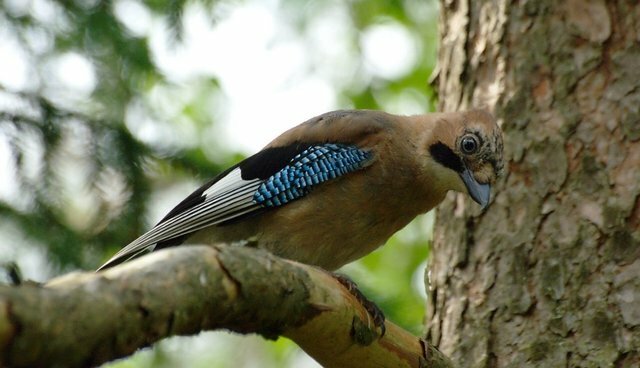 This week's premiere takes on avian cognition, featuring a brilliant New Caledonian crow and Eurasian jay (in addition to other birds) who use tools to their advantage in solving difficult problems. These birds effectively throw off a definition of humanity that is rooted in our ability to use tools, and the animals in parts two and three show how impossible it is to gauge "who's smartest" among us. "Inside Animal Minds" doesn't raise the question of what makes humans human or animals animals; it makes viewers wonder whether the distinction even matters. Below, you'll find an exclusive clip from this week's premiere of "Inside Animal Minds." You can catch the series on April 9, 16 and 23 at 9pm Eastern, right after "Nature."